Valentine’s Day is fast approaching, and this year, green is the new pink. Cannabis-inspired gifts are among the hottest trends and can be a refreshing change from the standard flowers and chocolate. 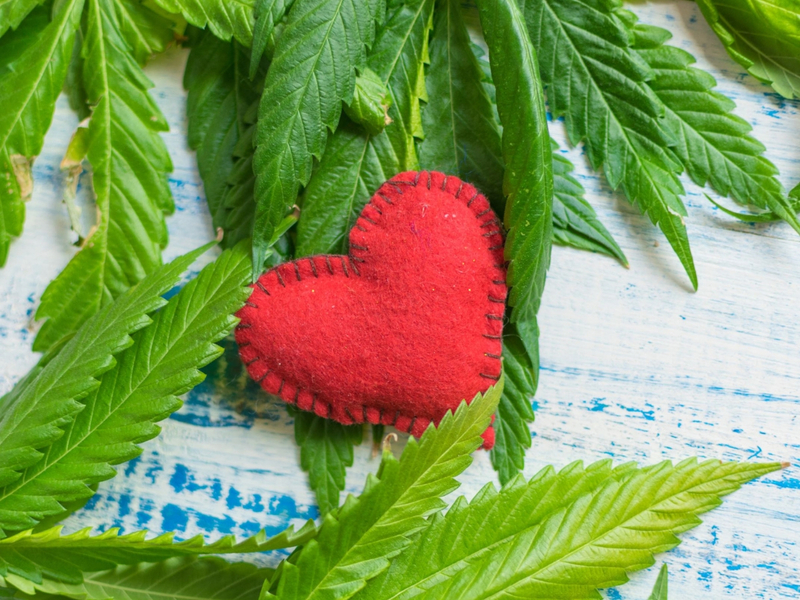 When it comes to unearthing an inspired gift for your cannabis-loving sweetie, we have you covered with our favorite finds that show you really care. Sensual massages are a staple of Valentine’s Day. But there’s no need to settle for a regular ol’ massage when you can spice things up with White Fox Nectars’ Illuminating Massage Oil. This oil blend leans on the healing qualities of herb to create a product that will both soothe and nourish. White Fox Nectars combines coconut, jojoba and almond oils with sandalwood, peppermint, arnica, maca, cocoa and the healing power of full-spectrum CBD. 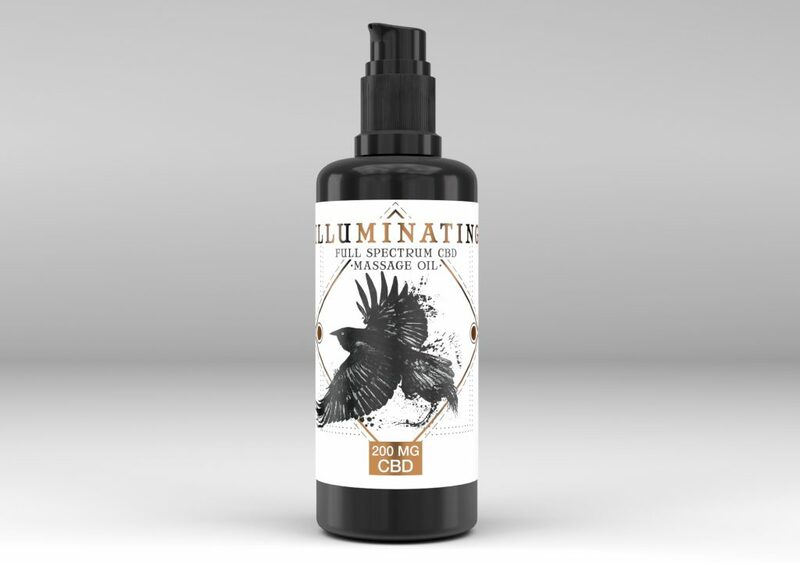 Illuminating Massage Oil 200mg CBD by White Fox Nectars retails for $52. When you give someone this crafty bubbler, you’re truly giving them your heart. MJ Arsenal’s line of joint bubblers are fun the whole year, but the limited-edition Amore model is perfect for Valentine’s Day. 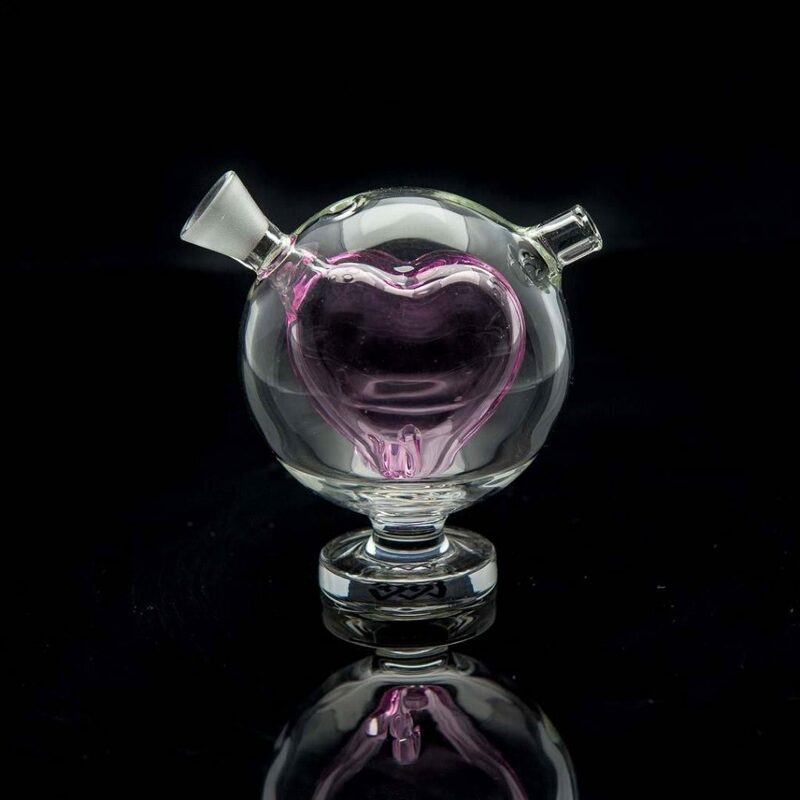 With a candy-pink heart held within a clear glass globe, the Amore bubbler provides a super-clean, smooth pull of your favorite pre-roll. Just add a splash of ice-cold water to the bubbler and you’re good to go. The smoke travels through the heart, while the water cools things down for a smooth hit. Plus, it’s small enough that you can take it on the go. Learn more about the Amore and other MJ Arsenal products at VapeWorld.com. Amore Bubbler by MJ Arsenal retails for $29.99. Looking for something special to pair with the Amore bubbler? Add a BigMike’s Blends Sensual Sensations pre-roll and you’ll be feeling all the oohs and ahhs in no time. As if it were made specifically for Valentine’s Day, the Sensual Sensations strain blend will help titillate and heighten your senses, making for a romantic night (or morning romp or afternoon delight). This powerful blend includes a flavorful, pleasure-inducing terpene and cannabinoid combination, and is a wonderful way to get your Valentine’s Day pumping. Learn more about where to find Sensual Sensations at BigMike’s Blends. 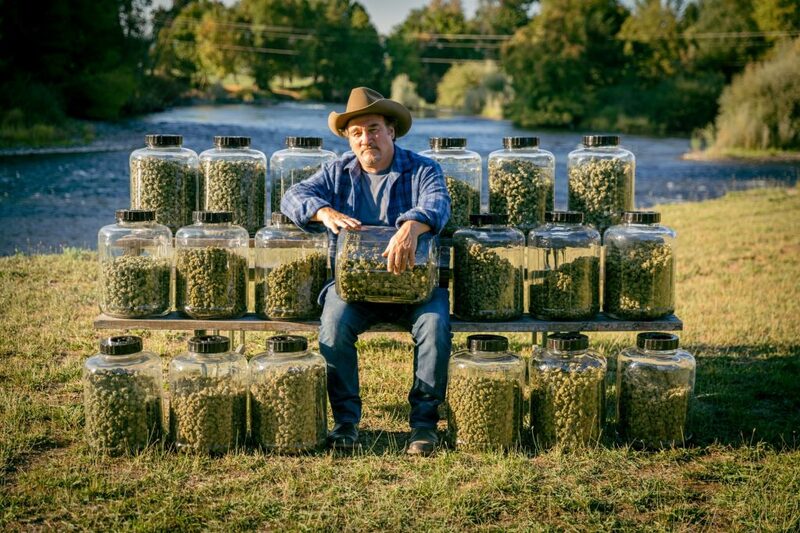 To learn more about where to purchase Cherry Pie and Blue Dragon flower, check out Belushi’s Private Vault, Belushi’s Farm. Nothing says Valentine’s Day like delicious, silky-smooth chocolate. But you can always up the ante with cannabis-infused chocolate by Blank Brand. 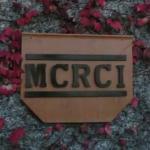 My personal favorite is the Dark Chocolate Indica and Dark Chocolate Sativa, which are infused with 100 mg of THC per bar. The chocolate itself is incredibly smooth and luscious, and it doesn’t have the herby aftertaste that some infused chocolates contend with. In fact, had I not known it was a THC-infused product, I would have thought it was regular chocolate. The dark chocolate is perfect for melting in a double boiler and dipping fresh fruit, elevating the typical chocolate-based gift in more ways than one. 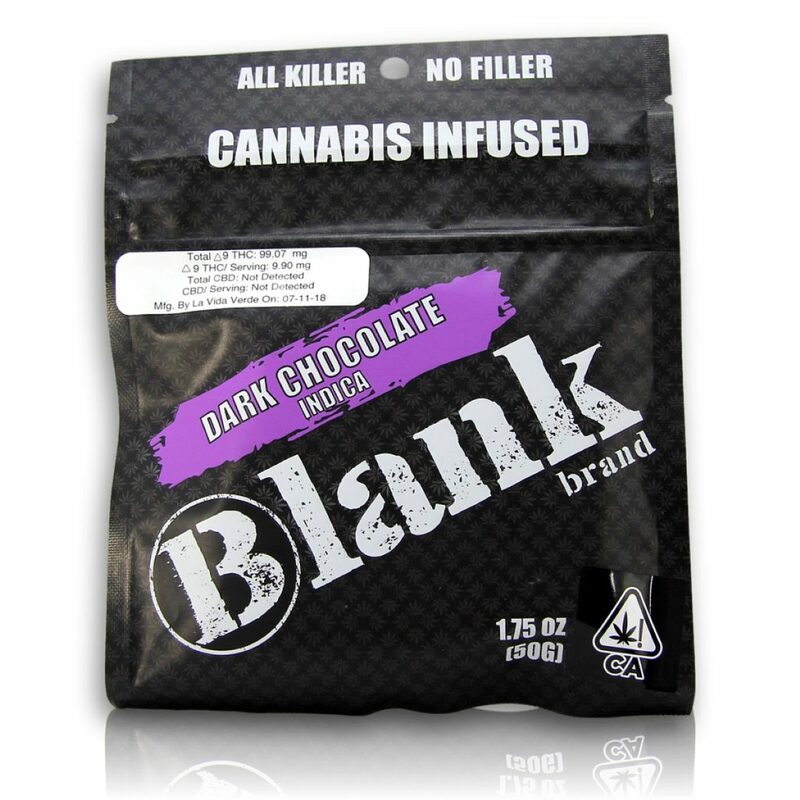 Blank Brand also offers a THC-infused Caramel Pretzel Chocolate Bar, and a THC-infused Strawberry CBD Chocolate Bar that uses real fruit and no artificial flavoring. For more information about Dark Chocolate bars by Blank Brand, visit the website. CBD is all the rage these days, and for good reason. Many people have found benefits from this cannabinoid, ranging from pain and inflammation relief to managing stress, anxiety and insomnia. Show your sweetheart that you care about their comfort with Lazarus Naturals’ Blood Orange High Potency CBD Isolate Tincture. The coconut oil-based tincture has a high concentration of CBD (50 mg of CBD per 1 ml), and is also infused with naturally derived blood orange extract. 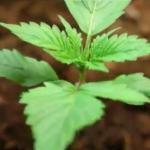 The refreshing taste works well on its own as a sublingual tincture, but it can also be added to a variety of foods. I suggest pairing this tincture with melted Blank Brand dark chocolate before you drizzle it over fruit — or anything else you can think of. 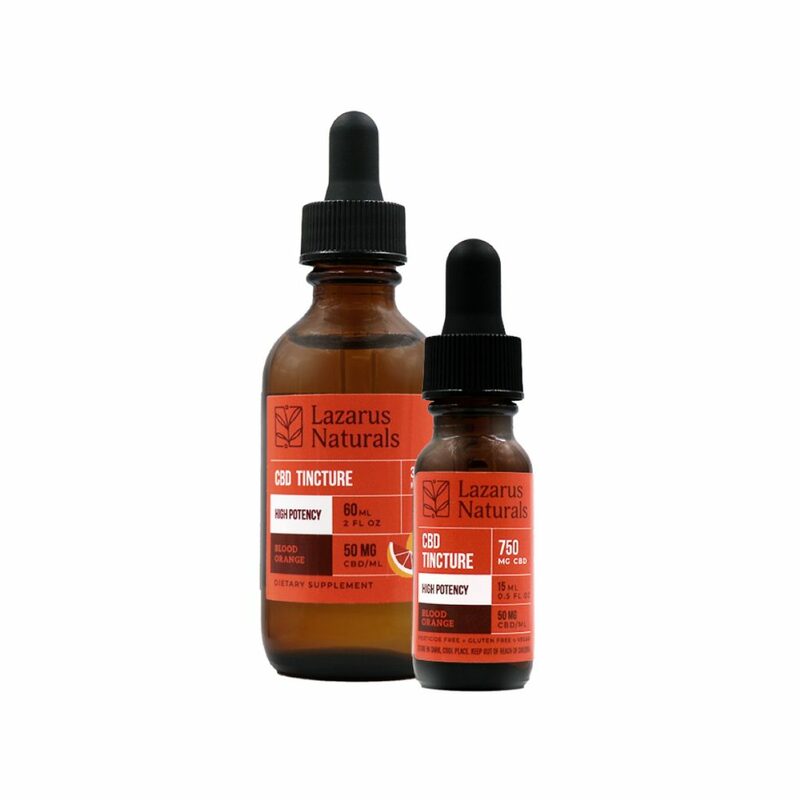 Blood Orange High Potency Tincture by Lazarus Naturals, retailing from $40 up to $125.